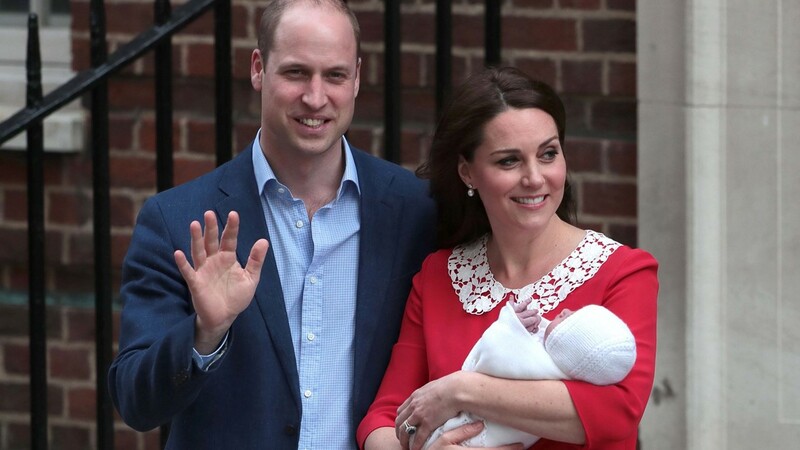 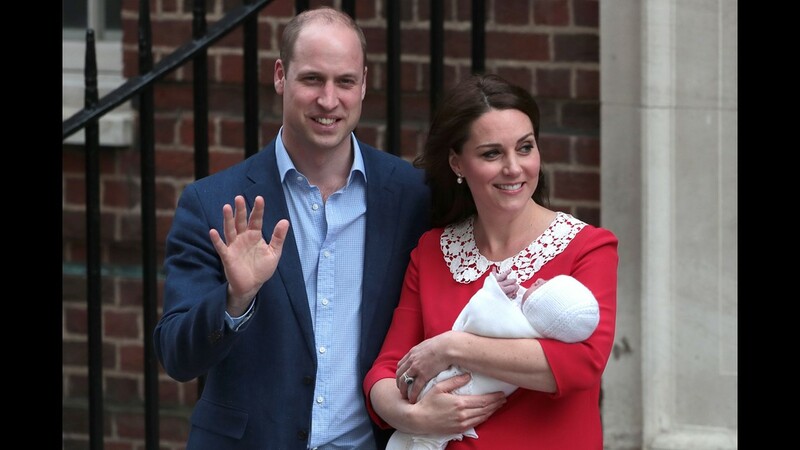 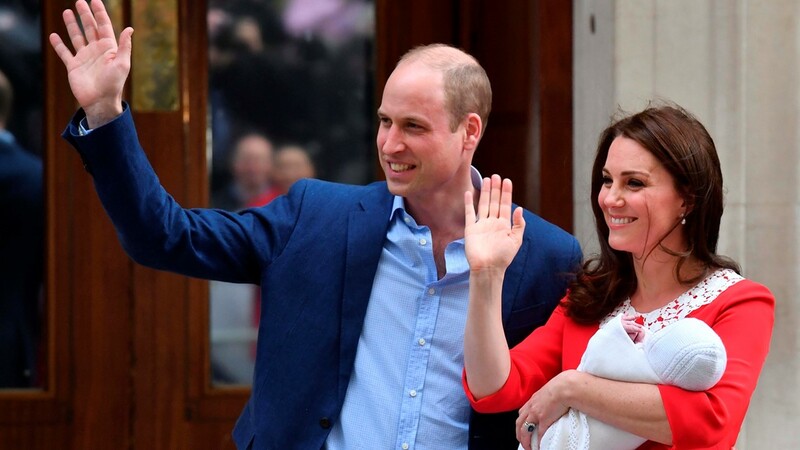 Prince William, Duke of Cambridge and Catherine, Duchess of Cambridge, leave the Lindo Wing of St Mary's Hospital with their newborn baby boy on April 23, 2018 in London, England. 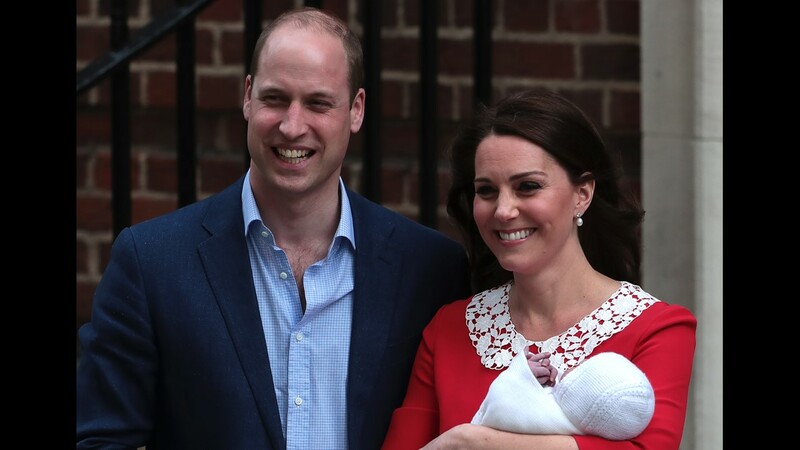 Britain's Prince William, Duke of Cambridge (L) and Britain's Catherine, Duchess of Cambridge present their newly-born son, their third child, to the media outside the Lindo Wing at St Mary's Hospital in central London, on April 23, 2018. 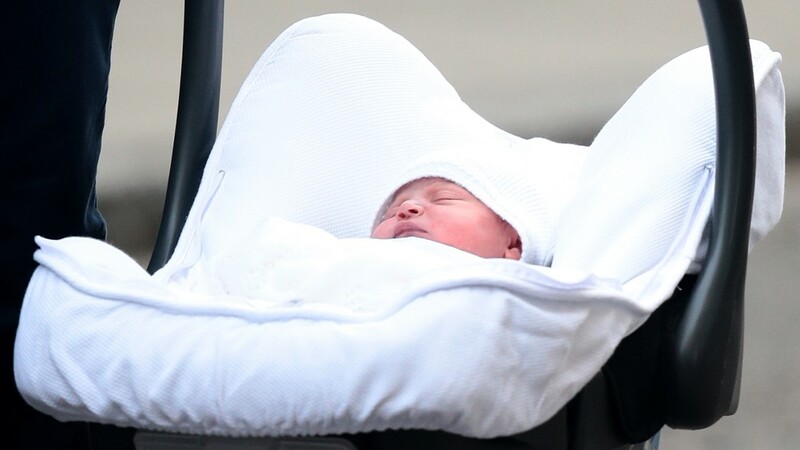 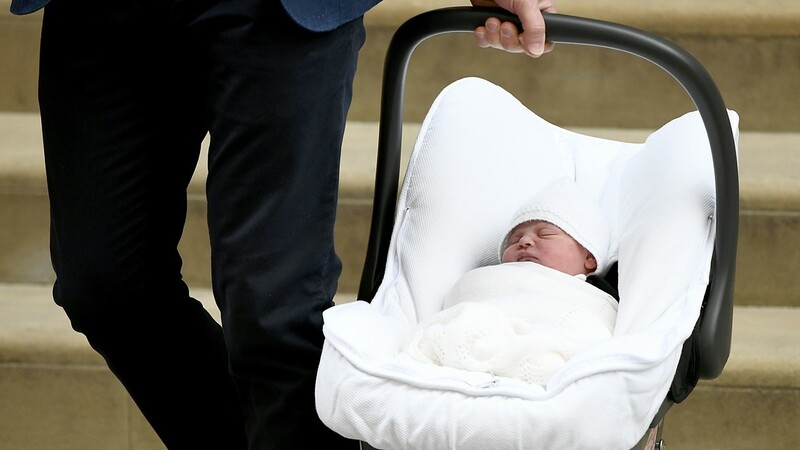 The newborn son of Catherine, Duchess of Cambridge and Prince William, Duke of Cambridge, held by Prince William departs the Lindo Wing at St Mary's Hospital on April 23, 2018 in London, England. 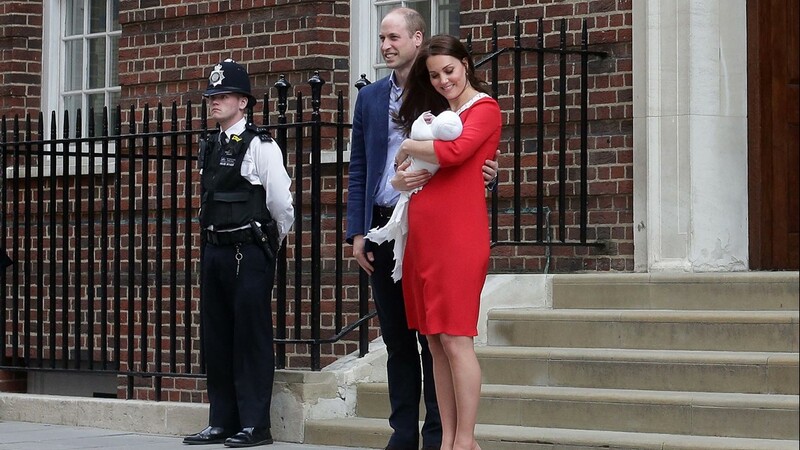 Catherine, Duchess of Cambridge and Prince William, Duke of Cambridge, depart the Lindo Wing with their newborn son at St Mary's Hospital on April 23, 2018 in London, England. 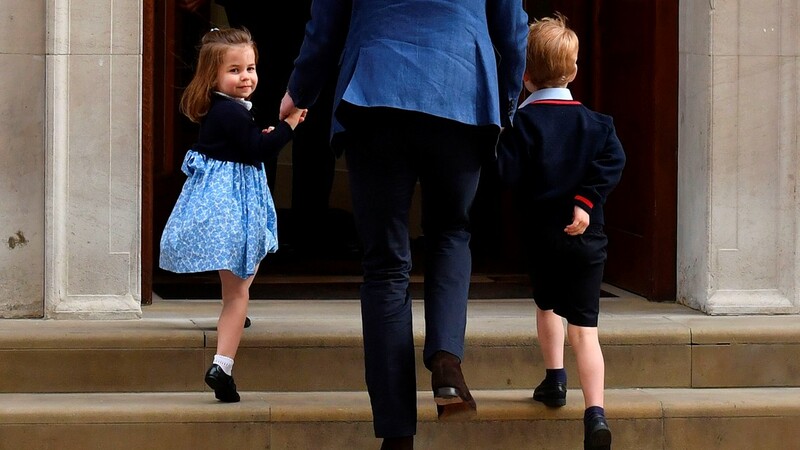 Princess Charlotte of Cambridge turns to wave at the media as she is led in with her brother Prince George of Cambridge by their father Britain's Prince William at the Lindo Wing of St Mary's Hospital in central London, on April 23, 2018. 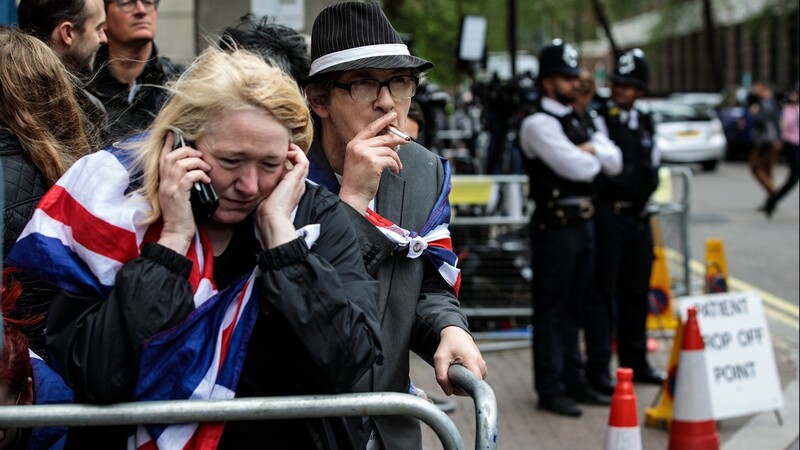 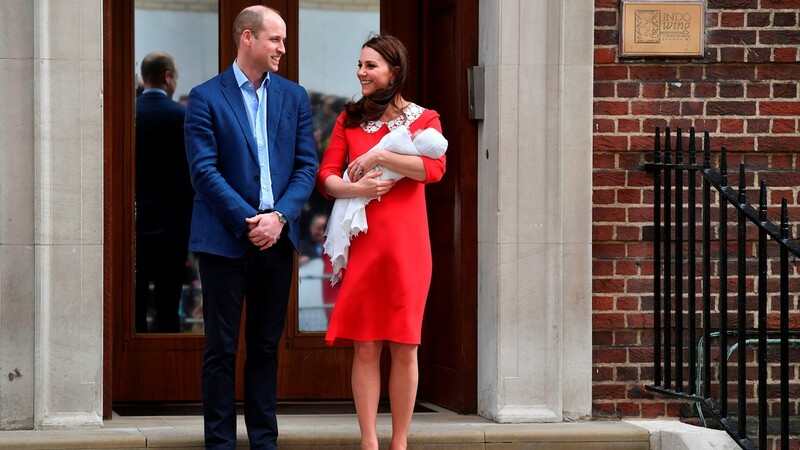 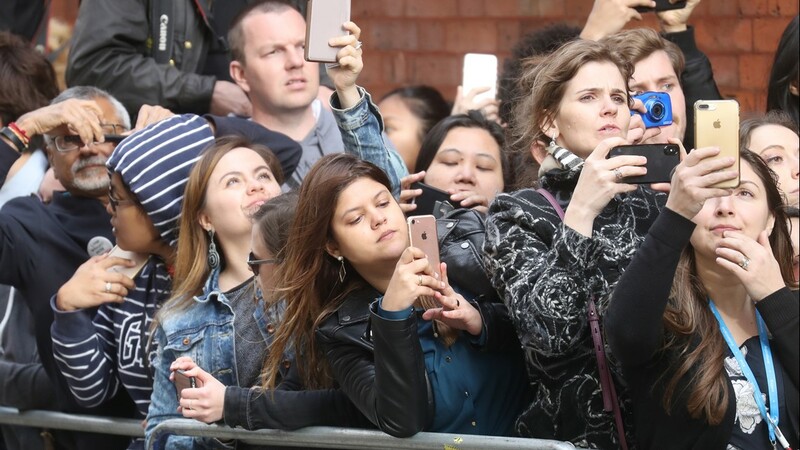 Wellwishers await the departure of Catherine, Duchess of Cambridge and Prince William, Duke of Cambridge with their newborn son from the Lindo Wing at St Mary's Hospital on April 23, 2018 in London, England. 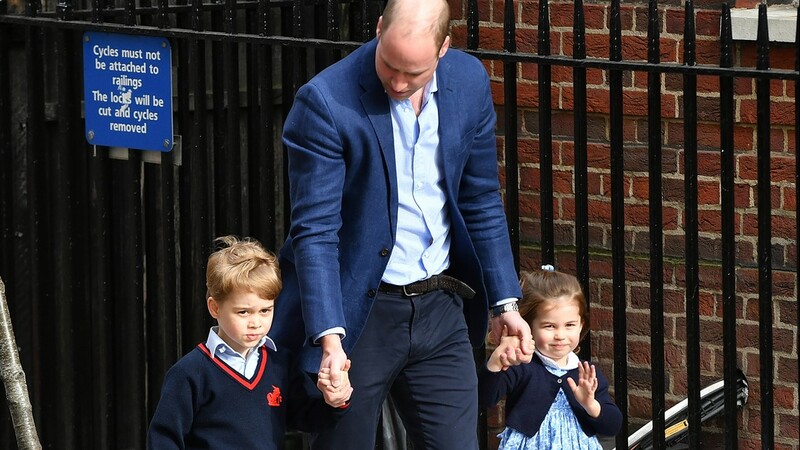 Princess Charlotte of Cambridge turns to wave at the media as she is led in with her brother Prince George of Cambridge by their father Britain's Prince William, at the Lindo Wing of St Mary's Hospital in central London, on April 23, 2018. 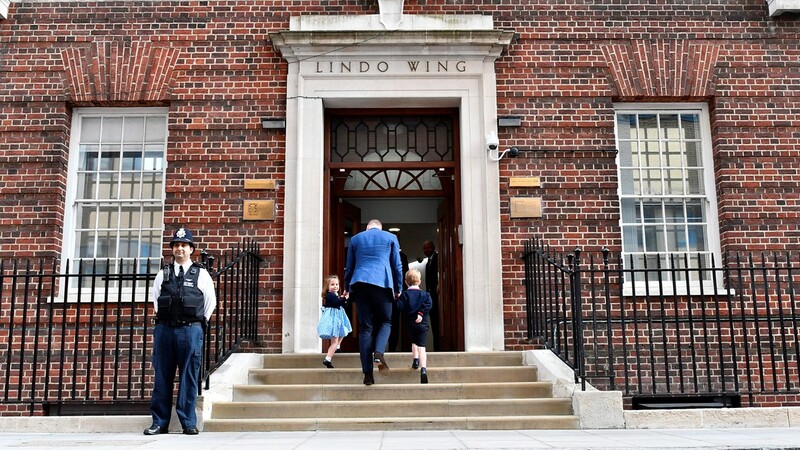 Prince William, Duke of Cambridge arrives with Prince George and Princess Charlotte at the Lindo Wing after Catherine, Duchess of Cambridge gave birth to their son at St Mary's Hospital on April 23, 2018 in London, England. 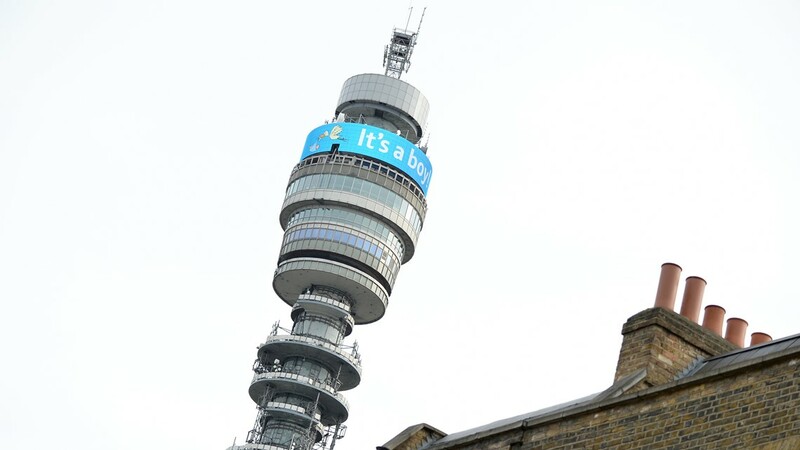 A general view of the BT Tower as it announces the birth of Catherine, Duchess of Cambridge and Prince William, Duke of Cambridge's newborn son on April 23, 2018 in London, England. 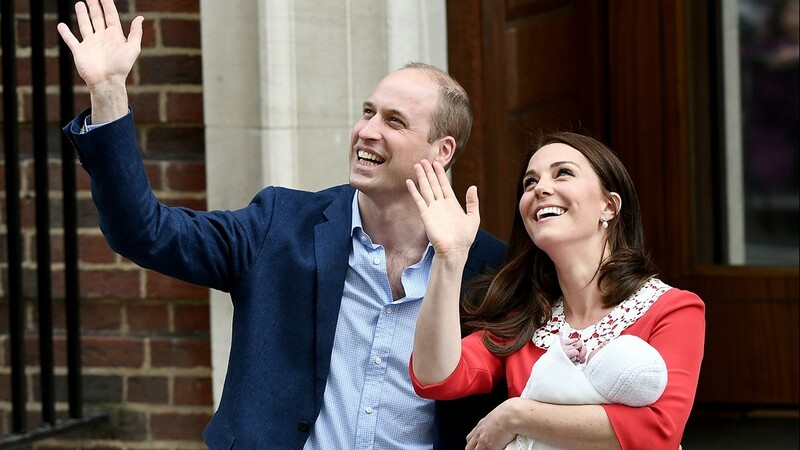 Britain's Prince William, Duke of Cambridge (L) and Britain's Catherine, Duchess of Cambridge show their newly-born son, their third child, to the media outside the Lindo Wing at St Mary's Hospital in central London, on April 23, 2018. 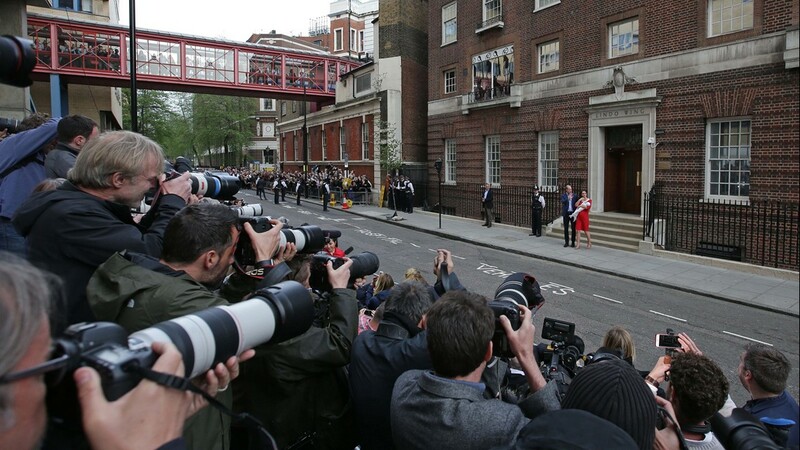 Members of the media and royal fans gather outside St Mary's Hospital ahead of the birth of the Duke &amp; Duchess of Cambridge's third child on April 23, 2018 in London, England. 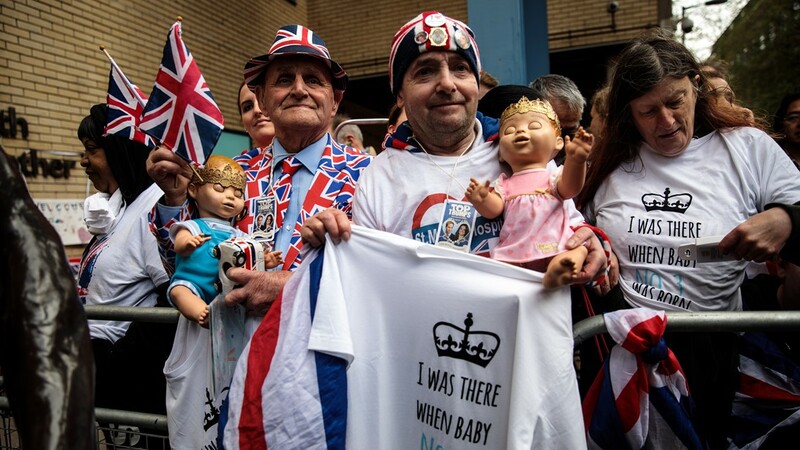 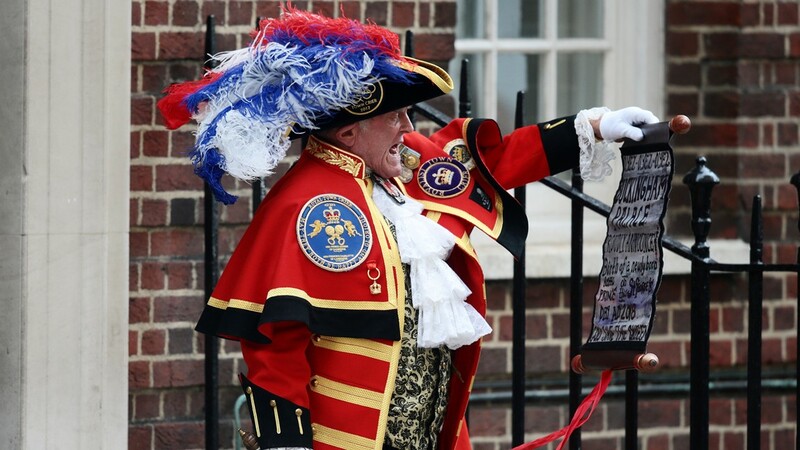 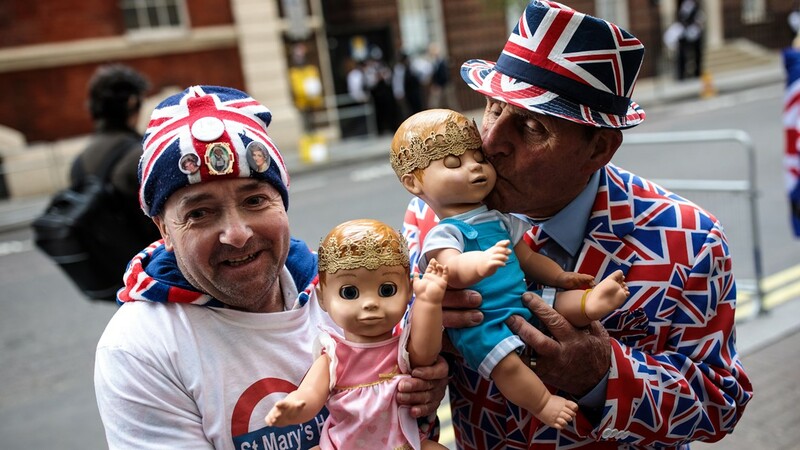 Royal fans John Loughrey (L) and Terry Hutt (R) pose with baby dolls outside the Lindo Wing of St Mary's Hospital ahead of the birth of the Duke &amp; Duchess of Cambridge's third child on April 23, 2018 in London, England. 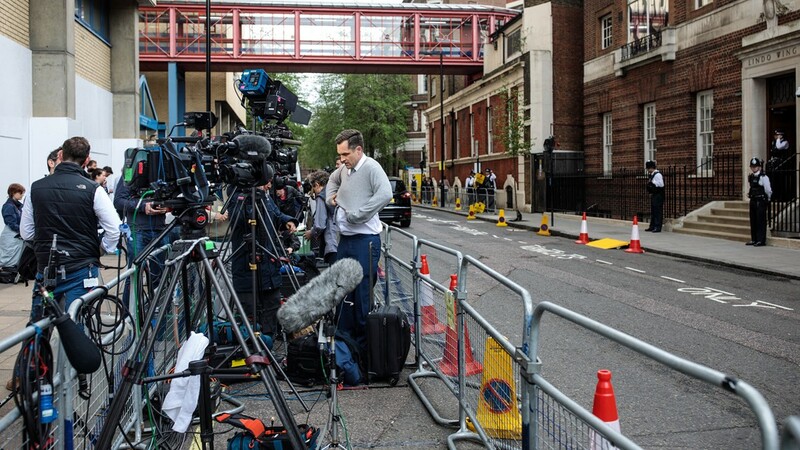 Members of the media gather outside the Lindo Wing of St Mary's Hospital ahead of the birth of the Duke &amp; Duchess of Cambridge's third child on April 23, 2018 in London, England. 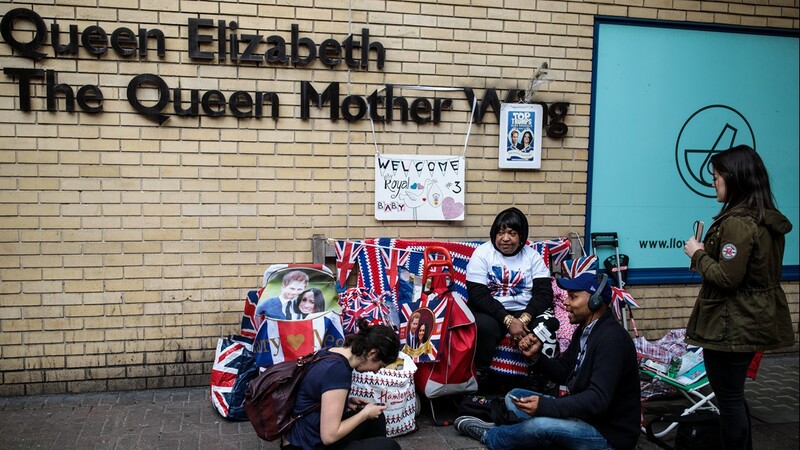 Royal fans wait behind barriers outside St Mary's Hospital ahead of the birth of the Duke &amp; Duchess of Cambridge's third child on April 23, 2018 in London, England. 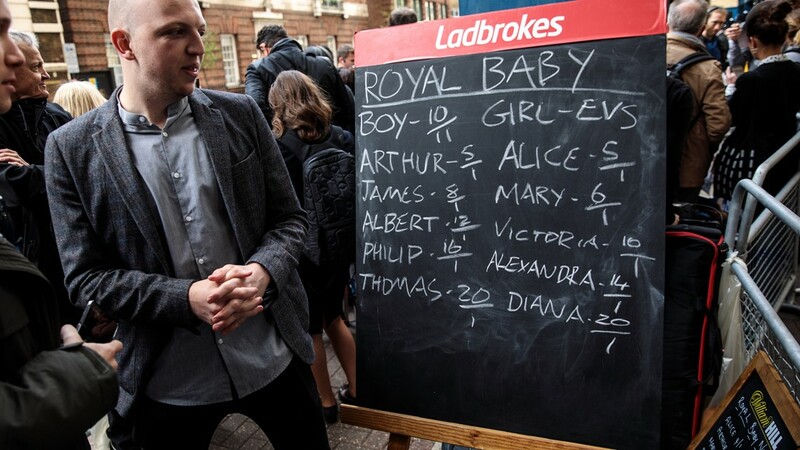 A bookmaker stands beside a blackboard with odds on babies names ahead of the birth of the Duke &amp; Duchess of Cambridge's third child on April 23, 2018 in London, England.